It seems easy to lose ourselves in schedules, responsibilities, and electronic devices. We wake up one day and are too exhausted to give our best selves to our careers and families. So many of us are seeking what we've lost, failing to recognize that the only thing we are truly seeking is the Self. 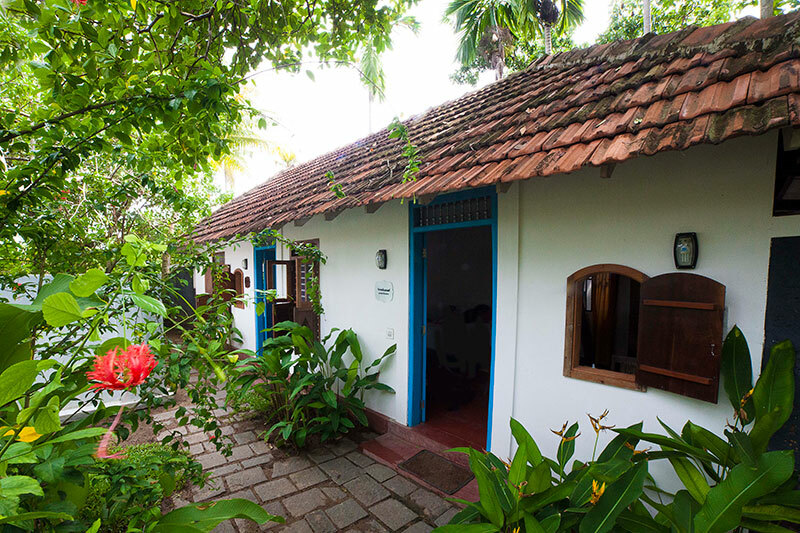 Kerala is blessed with magical pockets of community and culture, forward-thinking and organic-minded, which are clean, comfortable, friendly, and private. These enclaves, although difficult to find when traveling solo or with a large travel agency, are full of love and peace, and are welcome to foreigners. The first gift of Ayurgamaya Wellness Travel is nothing. I know this sounds strange - how can nothing be something we receive? But, as strange as it sounds, the most powerful gift for a citizen of the "world of things" is no. thing. Our days become free. Our time becomes free. Our cells learn that there is no reason to panic. Our hearts and minds have the opportunity to find a new way of being. Scientific studies now confirm that urbanization and separation from nature is directly connected to some mental and physical illnesses. Ayurvedic medicine addresses these problems and returns us to nature through safe, gentle retreats. Ayurvedic retreats are exquisitely curated gardens, dancing with tropical birds and butterflies. Within Ayurgamaya's custom structure, secluded island home-stays are a favorite "decompression" location for post-panchakarma reflection. What we find beautiful in nature also exists within ourselves. When we reflect on and connect to nature, our own souls are healed. The most basic truth of Panchakarma, Meditation, and Yoga is that we are intentionally caring for our bodies and our Selves. When we give to our bodies with love, a miraculous thing happens - our bodies learn to trust us again. With that trust, we gain access to the powerful, infinite wisdom of the body. When the schedule and the worry and the toxins are no longer running our minds wild, there is a quiet. In that quiet, we can hear the voice of our deep knowledge, through the miracle that is our own sacred Selves.